Mr. Gonzalez is a senior associate with Schertler & Onorato, LLP. His practice focuses on criminal and civil defense and government investigations. Before joining Schertler & Onorato, Mr. Gonzalez was an Assistant Attorney General at the Office of the Attorney General for the District of Columbia. There, Mr. Gonzalez obtained successful civil defense verdicts as first-chair in 5 jury trials and 2 bench trials, primarily in federal court. He served as second-chair in 5 civil jury trials. Mr. Gonzalez handled all aspects of litigation, including depositions, selecting expert witnesses and corporate designees, motions practice, hearings, mediation, and trial. He won over 35 dispositive motions, resulting in 20 published decisions. 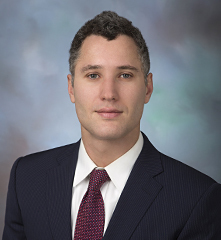 One of Mr. Gonzalez’s notable victories was winning a motion to dismiss, and mitigating $3 million in liability, on a novel issue of first impression in the Superior Court of the District of Columbia. Mr. Gonzalez was recognized each year for his excellence in service and was a recipient of the Attorney General’s Award for Distinguished Service, which is the Attorney General’s award for highest distinction. Mr. Gonzalez also served on the Civil Jury Instruction Committee for D.C. Superior Court. Before becoming an Assistant Attorney General, Mr. Gonzalez served as Law Clerk to the Honorable José M. López in Superior Court of the District of Columbia. In law school, Mr. Gonzalez interned at the Supreme Court of Virginia. He also received two CALI Excellence for the Future Awards for the highest grade in two classes and was a member of the Appellate Moot Court Team. As a native Washingtonian, Mr. Gonzalez enjoys volunteering with the Higher Achievement Program, where he has tutored fifth-seventh graders in Southeast, D.C.